What's scary is that nothing in the Surface lineup is intrinsically part of the Microsoft enterprise ecosystem, unlike the web of cloud-driven apps and services in Microsoft's quiver. Revenue from Microsoft’s Surface lineup topped nearly $2 billion for Microsoft’s fourth calendar quarter—and Microsoft believes so strongly in its success that it’s predicting another 20-percent growth on top of that for the current quarter. In fact, Surface sales are upending Windows’ traditional role at Microsoft—even though it’s likely Intel’s fault. For even as Surface rises, PC sales are suffering because of a lack of chips, Microsoft said Wednesday. 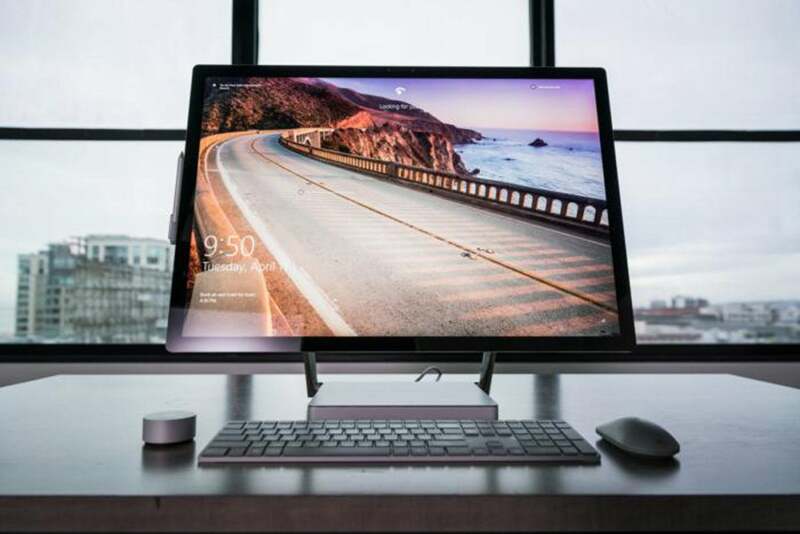 In all, sales of Microsoft Surface devices grew about 39 percent, “ahead of expectations,” to $1.86 billion, Microsoft chief financial officer Amy Hood said during an analyst call covering Microsoft’s second fiscal quarter of 2019. Overall, Microsoft made $8.4 billion on revenue of $32.5 billion, up 12 percent overall. There’s another trend: The revenue mix within Microsoft’s More Personal Computing business is expected to shift more toward Surface and Xbox gaming, and away from Windows. Move over, Windows: For now, Surface is ascendant. That’s interesting, if only because Microsoft’s three business units generally break down like this: Productivity and Business Processes (up 13 percent to $10.1 billion) is where Microsoft Office lives. Intelligent Cloud (up 20 percent to $9.4 billion) is where Azure and its cloud services reside. More Personal Computing (up 7 percent, to $13.0 billion) is the traditional home of Windows. But for this quarter at least, Windows will take a back seat to Surface. Windows OEM revenue dipped, by 2 percent in sales of Windows 10 Pro, and by 11 percent in what Microsoft calls “non-Pro” revenue. Surface soared to $1.86 billion in revenue, and gaming was even higher: $4.232 billion. Although it’s exciting to think that Microsoft’s Windows division could evolve into the Surface division over the long term, it’s not as simple as all that. Remember what we learned in October, when Microsoft cracked the top five PC vendors: Mikako Kitagawa, principal analyst at Gartner, wrote that she didn’t see any change in demand as a result of the ongoing processor shortages at Intel. But there still hasn’t been a corresponding increase in supply—especially at the low end, where Intel interim chief executive Bob Swan acknowledged the shortages but said Intel would focus its efforts on more expensive chips. The idea was that the shortages would be made up by AMD—but AMD CEO Lisa Su didn’t seem particularly interested in low-end products, either, now that AMD has the rich taste of profits in its mouth. Low-end processors—which, presumably, would power inexpensive Windows PCs that would sell in greater quantities than more expensive models—are in short supply, and there’s little Microsoft can do about it. That doesn’t help Microsoft, whose executives complained repeatedly that Windows as a whole was suffering because of it. “The overall PC market was smaller than we expected primarily due to the timing of chip supply to our OEM partners which constrained an otherwise healthy PC ecosystem and negatively impacted both OEM Pro and non-Pro revenue growth,” Hood said. 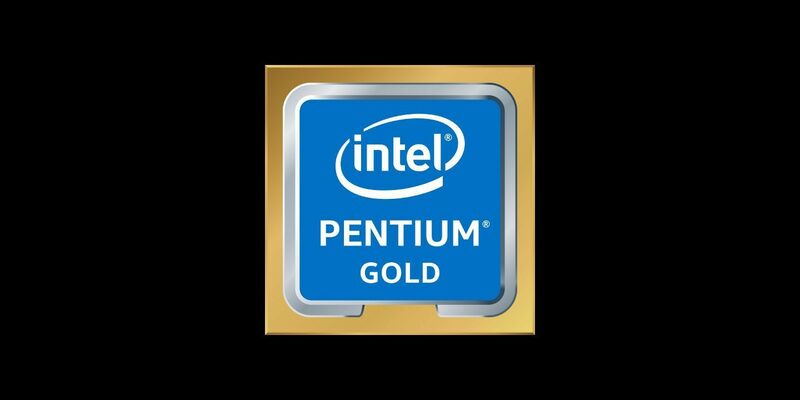 Later, Hood said specifically that the shortages in the processor market held back the More Personal Computing business by about 1.5 percentage points of growth, which works out to about $200 million in lost business. That also contributed to weakness in Office 365 consumer subscriptions, which increased from 29.2 million a year ago to 33.3 million. Again, though, the implication was the chipmakers held back the PC market—and Windows. Over time, then, it's possible that Windows will swing back to becoming the growth driver of Microsoft’s biggest division, and Surface growth will taper off somewhat. But though we were fairly lukewarm on Microsoft’s tweaks to devices like the Surface Laptop 2 and Surface Pro 6, buyers are obviously snapping them up. Can enterprise synergies fuel Surface further? Though we leave Microsoft’s enterprise strategy to our colleagues at Computerworld and its sister publications, it’s clear even from the outside that Microsoft’s strategic foray into the enterprise is a masterclass in synergy. 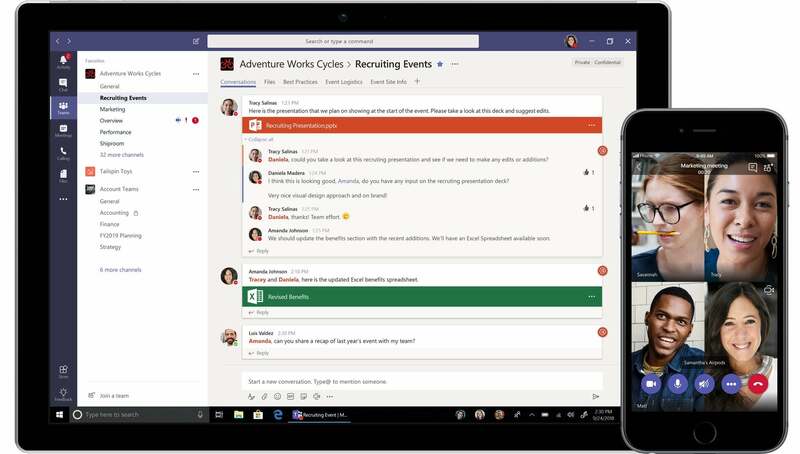 Take, for example, Microsoft Teams, an “on ramp” for Microsoft 365, according to chief executive Satya Nadella. Because Teams—which we disliked, but has since been adopted by more than 420,000 businesses, according to Nadella—serves as a collaboration tool, it ropes in OneDrive, Yammer, Skype, and more Microsoft services. While Microsoft Teams didn’t do it for us, hundreds of thousands of enterprises disagree. Teams encourages the use of Office 365, but also shows off the power of Microsoft’s Azure cloud, its home for AI-driven services. Azure revenue increased by 76 percent. Microsoft uses both Azure and the cloud to power its security offerings, protecting Outlook’s email. What Microsoft calls its “Power platform”—including PowerBI and more—also taps the cloud. And it continues from there: Microsoft’s xCloud will enter public trials this quarter, tapping the power of Microsoft’s cloud to power Xbox games. What’s not clear is whether Surface devices are benefiting from this synergy yet, or whether they’ll rocket up further if Microsoft figures out a way to make them uniquely part of its ecosystem. 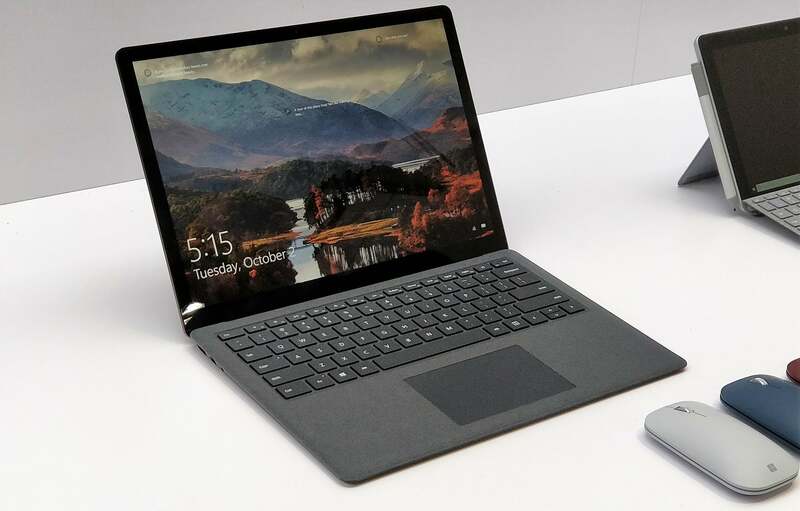 Though Surface devices like the new Surface Go are priced for consumer budgets, most of the Surface lineup’s price tags are aimed at the corporate market. For now, though, Surface is rolling. Hood even predicted the Surface lineup would grow an additional 20 percent during the current calendar quarter—a sign of extreme confidence in how Surface is doing right now. While Microsoft’s phone business may have failed, PCs are clearly a success story in Redmond.